Google recently announced its latest version of Android - 4.3 Jelly Bean, which turned out to be nothing to write home about. Ever since then, the next iteration of Android OS has taken the spotlight and has been the talk of the town. Just when all of us thought that Android 5.0 Key Lime Pie would be the next upcoming version of the Android OS, Google has announced that the successor of the Android 4.3 Jelly Bean would be named KitKat (yeah, the brand) and it is Android 4.4, not 5.0 as rumored before. Sundar Pichai, the Android and Chrome head has confirmed the naming scheme of the next version of Android. 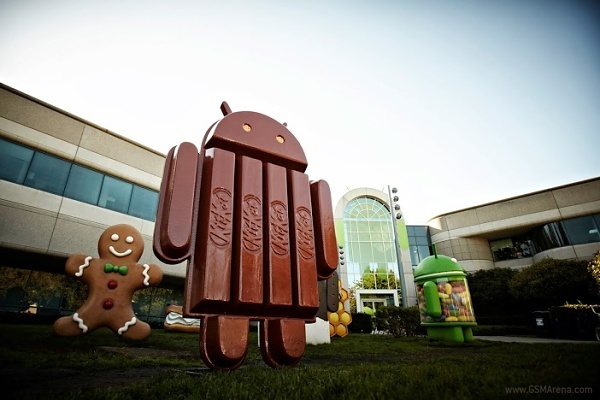 Android 4.4 KitKat is named after Neslte's popular candy bar, which is trademarked and licensed by Hershey in the US. Google also says that "it's our goal with Android KitKat to make an amazing Android experience available for everybody". The bold statement also suggests that Google plans to make use of its next iteration of Android in smartwatches, gaming consoles and other electronic gadgets. Sundar Pichai, in his Google+ post also revealed that Android device activations have now passed 1 billion and says he "can't wait to release the next version of the platform." How we get kitkat for Samsung S3 and Tab2 ?